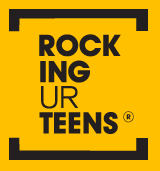 This year, on the 8th of March International women’s day, I attended a conference called Rocking Ur Teens. The line-up for the day was filled with inspirational women, whose main aim was to motivate us, and they TOTALLY reached their aim. I fully enjoyed every speaker and felt energised by the colourful commentator, Remel London. Each woman gave their all to us and I am so thankful for that. Two speakers really stood out for me over the day; The Self-Esteem Team and the Mandeville Sisters. Each spoke on body confidence and being happy with ourselves. The Self Esteem Team. I don’t know how to describe them besides: energetic and motivational. They spoke about how each of them had had issues in their lives and how they overcame them. Each of them had a story that would’ve touched each person in the room… Natasha spoke about breaking unhealthy habits, her recovery from her previous eating disorder and her involvement with the government working on body image in teens, Grace spoke about a need to be ourselves and that no one values us for our looks… But for our personality, and finally Nadia spoke about positive ways for us to express ourselves, as someone who struggled at being able to express herself as a teenager. Personally,I felt inspired at the fact that they wanted all girls to know that they are enough, and that they should value themselves. Their positive work encouraged me to see myself in a better a light and, I’m sure, has encouraged many other girls to do the same thing. The Mandeville Sisters; Bubbly, Energetic and Wonderfully spoken, these girls are like Rocking Ur Teens veterans, attending each year to share their story with a fresh bunch of girls! They bring a sense of excitement and self confidence to the stage. Their main message was that we can do anything we want. We don’t have to confine to the norm or be like everyone else, because “we’re like doughnuts, all different.” I used this quote as it was one of my favourite from their talk, also, I like doughnuts and it makes me laugh. 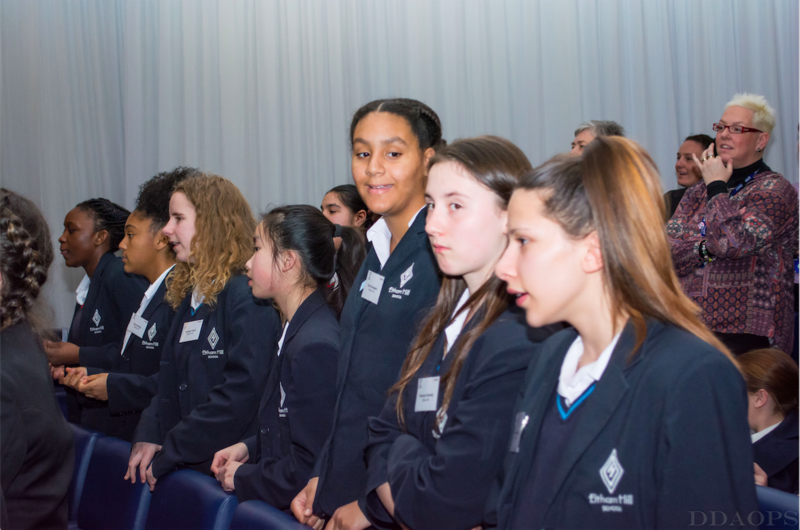 The girls later spoke about how we can achieve any profession we want, we don’t always have to go to university or depend on our studies to do what we would like. Say you want to be a police officer ; you could get involved in the police cadets OR you could rely on your knowledge to guide you. There are many paths into the things we want. The Rocking Ur Teens conference has inspired me so much and has proved to me that women can do anything! I’m so excited for next year, to get my next full dose of teen confidence and laughs. The Boys conference is in November at Thomson Reuters, I’m sure they’ll have an inspirational time too.